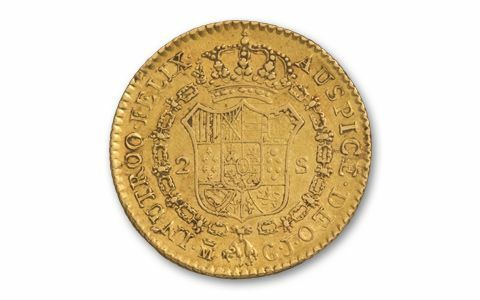 In the 1700s, before the U.S. Mint began to strike gold coins, most gold coins in circulation were Spanish Gold Escudos. 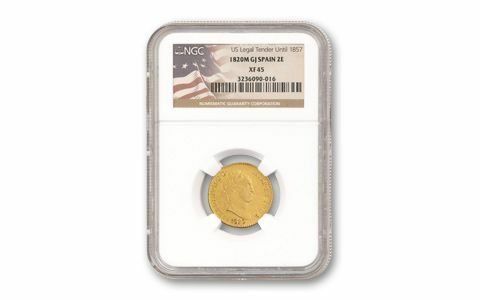 They are truly America's first gold coin! 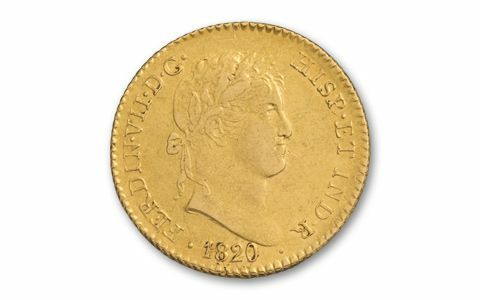 Gold Escudos were as popular with George Washington and Benjamin Franklin as they were with pirates who coveted the riches that gold symbolized. The 2 Escudos gold coin was equal to four 8 Reales Silver Dollars. 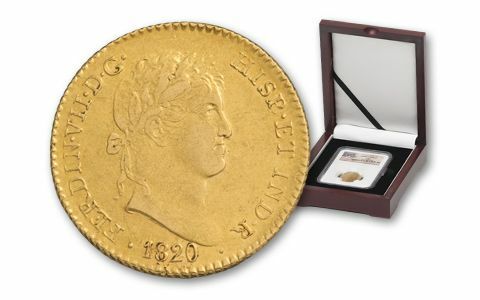 This coin was struck more than 220 years ago in the era around the American Revolution. Most were worn out in circulation or melted for the precious gold, so they are scarcer today than they were even in America's early history. We've managed to accumulate only a few for this offer, so order now to avoid disappointment! 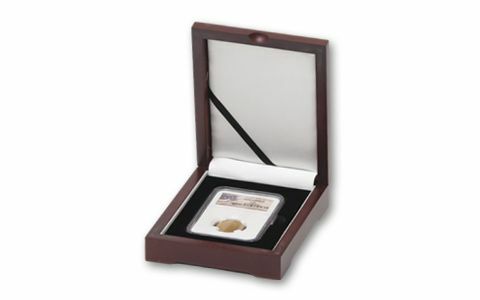 Each is graded in Extremely Fine (XF) condition by Numismatic Guaranty Corporation (NGC).